Green Gold Store is founded by Green Gold Animation Pvt Ltd. in May 2011. The idea behind opening Green Gold Store was to create a paradise where children can get all the products and merchandise of Chhota Bheem. It was a simple motive to create a lot of merchandise and products for all the die hard fans of Chhota Bheem. 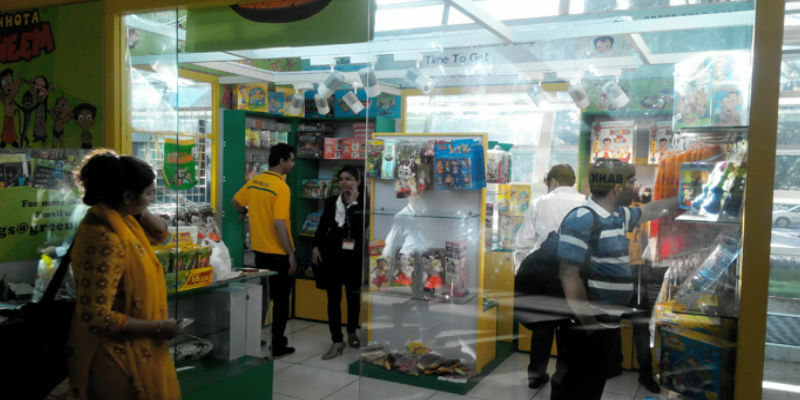 Currently open in 16 Cities across the length and breadth of India and a lot more stores coming up as we surge ahead..
Chhota Bheem is the only show in India that has successfully proven itself as a merchandising brand with a range of kids products such as Comics, DVDs, Apparels, Gifts, Home Decor items, Puzzles and Stationaries etc, thus creating an exclusive concept destination for kids called Green Gold Store. Green Gold Store ensure that every child gets to buy and be the proud owner of the entire range of Chhota Bheem, Mighty Raju, Krishna Balram, Luv Kush and Chor Police merchandise. 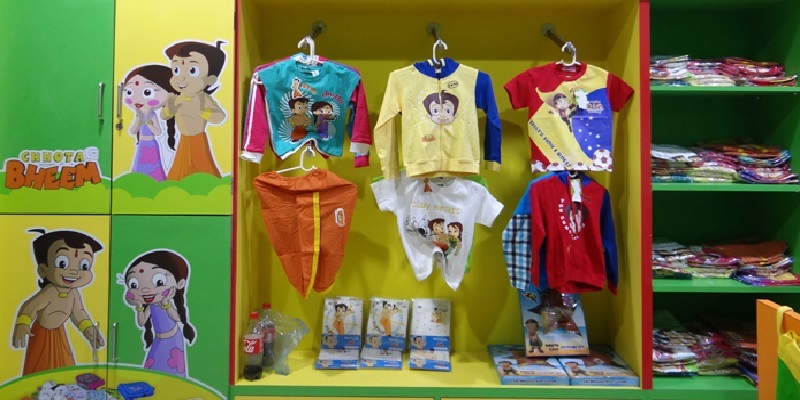 Green Gold Store offers a wide array of merchandise & products for girl and boy from the age group of 0 to 12 years. All the products and accessories come in a number of designs, colors, and shades with trendy styles and looks. So come and explore the latest range of Green Gold characters products at a Green Gold Store near you. We look forward to your smiles and your children's happiness while you browse through our huge range of merchandise and products and we thank you for shopping at Green Gold Store.